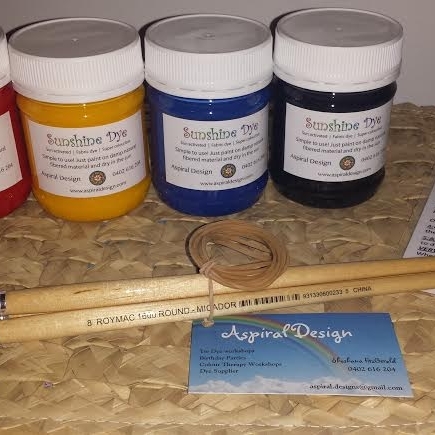 Welcome to Aspiral Design the home of Tie Dye and creativity. Aspiral Design has been inspiring and delighting Children and Adults of all ages with the art of Tie Dye since 2011. We offer many interactive, simple, fun and creative Tie Dye Workshops across the sunny Gold Coast. We delight in sharing our passion for colour and creativity with everyone we meet. At Aspiral Design we manufacture our own unique Dyes to help you create your own perfect Tie Dye every time. Each Dye pot is made super vibrant, completely colourfast and with a little love. 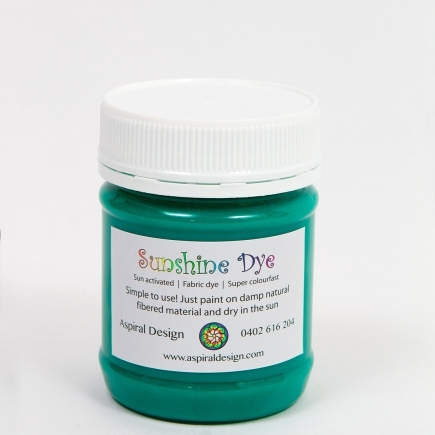 Our Dyes are non-toxic, sun activated and very easy to use. With a wide range of vibrant colours, our Sunshine Dye and extra bright Funky Fluro ‘s are sold in Kits of various sizes and colour combinations which are sure to delight the young and young at heart. 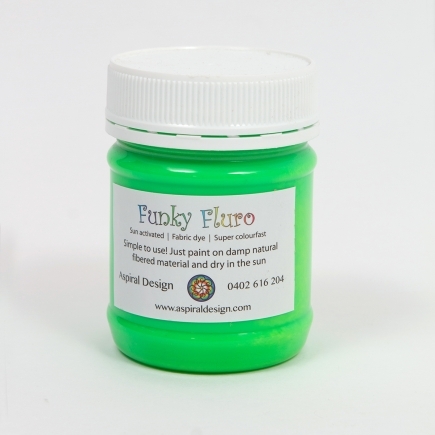 Aspiral Design Dyes can be shipped all over Australia to add extra colour to homes, schools, parties, craft groups and businesses. Aspiral Design will inspire your imagination, bringing fun with creativity and add extra bright colour to your world!